As claims and counter-claim continue to trail last weekend’s presidential and NASS polls, National Chairman of the ruling All Progressives Congress, APC, Adams Oshiomhole has stated that INEC connived with the Akwa Ibom state government to rig Senator Godswill Akpabio out. Speaking at a press conference on Thursday in Abuja, he said the electoral umpire deliberately employed government officials as election agents with instructions to deliver victory to PDP candidates. 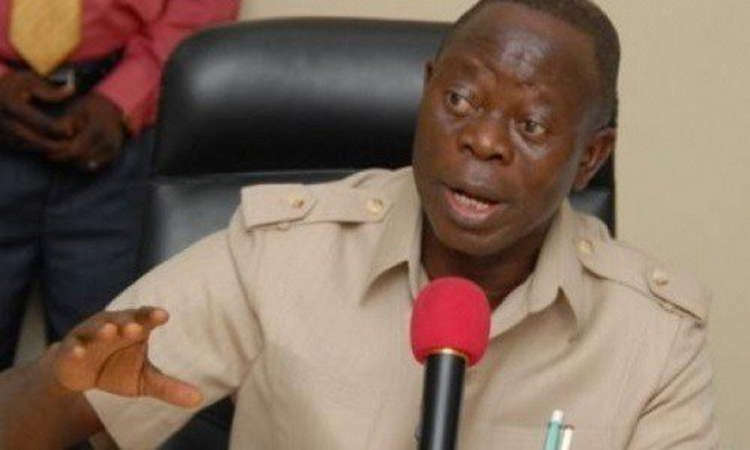 Oshiomhole said elections in Akwa Ibom state were not close to free and fair, stating that the APC has evidence of altered figures of senatorial election results that affected the former Minority leader of the Nigerian Senate. His words, “Akpabio was rigged in the last week’s elections. How would one explain altered figures against Akpabio which we have in our custody? “The Independent National Electoral Commission in Akwa Ibom employed Akwa Ibom state officials as electoral officers who manipulated figures against opponents. “They keep manipulating and adjusting figures until they are satisfied that Akpabio was defeated before submitting results to INEC,” he claimed. Oshiomhole further revealed that APC has already petitioned INEC, expressing optimism that with time, justice would prevail in the matter.